Aussies know they can always get Lube Mobile! 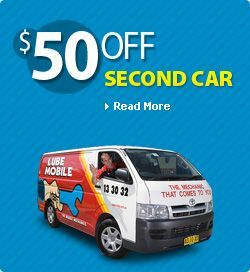 Aussie drivers get Lube Mobile for a good reason — or several! They know we’ll be there fast. They know our work is top quality and that our service is reliable. Thousands of Aussies pick us to service their cars every day! That’s a recommendation you can rely on! No fuss, not messing around! Get Lube Mobile! Aussie drivers want service and quality work, not excuses and time wasting! They know we can deliver the service they need and the standards of work whenever they want it! Fantastic service, excellent work, convenient booking! When you want help, just get us! You can pick your own time and we’ll be right over! In a real hurry? Book in right now, we’ll have a service out there ASAP! System problem? It’s best to have that kind of problem fixed before costs you serious cash. We can take care of it for you now! Tired of waiting for service and getting nowhere? Our mobile mechanics will be onsite and have your job done before you know it! When you want things done fast, get us! Save big money on your car costs! A good routine car service will fix things so they don’t turn into costly problems! That can save you major costs upfront! Driving is so much more fun without the worries! Trying to find good car service or car repairs in Ballarat? We’re here for you anytime you like! Talk to Lube Mobile! No need to go looking for good car service or car repairs in Ballarat! Lube Mobile will do any job you need done! Want to see a real quote, not a guessing game? All our quotes are written, full-disclosure quotes. 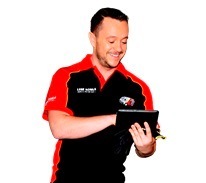 Australia-wide warranty on work and parts. Choose your payment option from our selection. Ethical work practices — You’re in charge of saying what gets done. High quality expert standard car repairs. Only the best parts — No odds and sods. Really need someone to come over and take care of your routine car service? No problem, leave it all to us! In a real hurry to get an urgent job done? Easy — Contact us ASAP, and we’ll organize your car service for you! Got some car system playing up and need it looked at? No problem — Lube Mobile does all car systems anytime you need help! Professional standards of performance and work at all times. Get your car service organized for convenient service on any business day. It’s easy to get any work you need done on your car organized for whenever you want it with Lube Mobile. Just book in, and leave it to us! Our mobile mechanics will be there with friendly service and all the help you need.